Digital art is coming of age, and nowhere is this more evident than at www.renderosity.com, by far the largest online community in the field - with some 200,000 members and well over 100,000 digital images on display in the site's numerous galleries. Now Audre Vysniauskas (audre), Editor-in-Chief of the quarterly print magazine Renderosity and a prominent digital artist herself, and John Grant, editor and author of numerous fantasy art books and winner of the Hugo, World Fantasy Award and Chesley Award, have asked a selection of the finest contributors to renderosity.com to contribute to this showcase volume. In the 21 generously illustrated portfolios here - some 200 images in full colour - you will see a stunning variety of the very best of modern digital art. A brief technical note accompanies each image, and there are autobiographical statements from the artists. 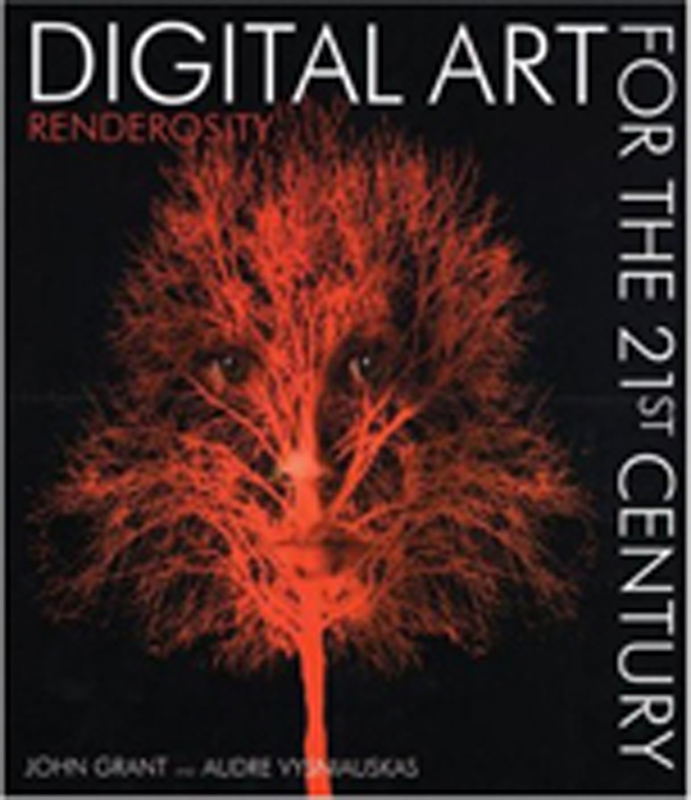 This lavish book displays the cutting edge of digital art, and will certainly become a classic in the field. John Grant - Born in Scotland but now resident in the United States, John Grant is the author of some sixty books. His nonfiction includes two standard reference works: the phenomenally successful Encyclopedia of Walt Disney's Animated Characters, now in its third edition, and, with John Clute, The Encyclopedia of Fantasy. His most recent books include Masters of Animation, Perceptualistics: The Art of Jael, Dragonhenge (with Bob Eggleton) and The Chesley Awards: A Retrospective (with Elizabeth Humphrey and Pamela D. Scoville). His most recent novels are The Far-Enough Window and The Dragons of Manhattan, which latter was first published as an online serial by the international op-ed site Blue Ear (www.blueear.com). A recipient of the Hugo, the World Fantasy Award, the J.Lloyd Eaton Award, the Mythopoeic Society Scholarship Award, the Locus Award, the Chesley Award, and a rare British Science Fiction Association Special Award, he was for many years Commissioning Editor of Paper Tiger, the world's leading publisher of fantasy/sf art books. He is married to Pamela D. Scoville. Audre Vysniauskas - After obtaining a degree in Electrical Engineering and spending 15 years working with factory information systems, in 2001 Audre Vysniauskas made a major career change and, signing herself just "audre", became a full-time illustrator; at about the same time she became a vociferous advocate of the use of computers in creating art. Extremely active in the digital community, she serves as a course reviewer for Siggraph; is the manager of one of the first digital sections in a major science fiction and fantasy art show (Dragon*Con); is the founder and a past Editor-in-Chief of Renderosity Magazine; and is one of the principals in The Attic, "a peculiar online community". She is working with Christian Seidler, founder of the Matricism art movement as his technical liaison, helping traditionally trained artists embrace the new technology and techniques. Always pushing the digital envelope, she enjoys tying together varied sources in experimental art, often incorporating fractals, photographs and other unlikely elements in her work. She has created numerous book covers, interior book illustrations and illustrations for advertising. 9 1/2" x 7 ¾"
For orders outside the USA please email Customer Service before placing an order so that you may be advised of the shipping costs.